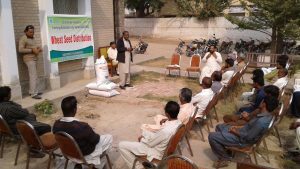 Caritas Pakistan distributed wheat seed to 48 small farmers of Sargodha district under SAFBIN project. 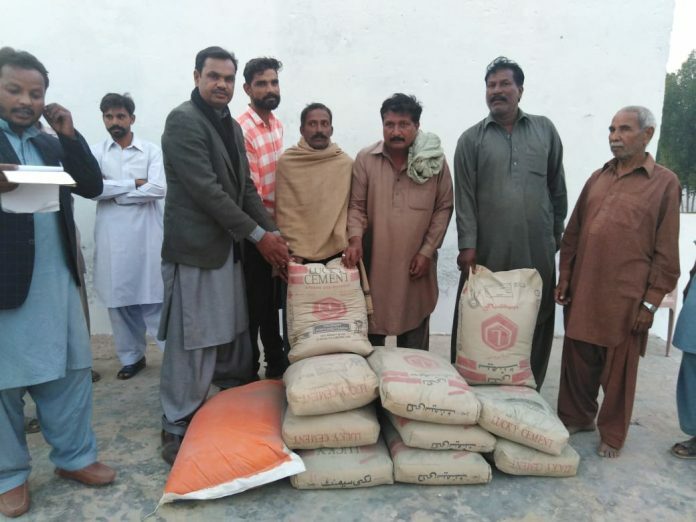 The farmers belonging to different villages of Sargodha received recommended varieties of wheat seeds on November 9, 2018. Similarly, on November 11, 75 beneficiaries from targeted villages of district Khushab were provided with canola seed, wheat seed and supported with cowshed material. The beneficiaries thanked and assured their cooperation to Caritas Pakistan. 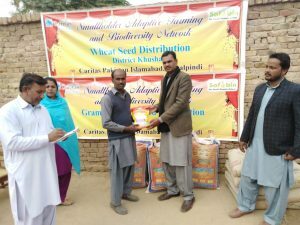 The purpose of distribution was to help small in raising their crop production and income.